Consumers tend to keep their phone for about three years — but Apple is hoping to fast track that cycle. Apple customers may have been wowed by news of a digital magazine newsstand and a streaming video service featuring shows from Oprah Winfrey, Steven Spielberg, and Jennifer Aniston — but they might not be so keen to discover their phones either need an upgrade or are simply too old to enjoy the services. In order to access Apple News+, which offers more than 300 magazines for $9.99 per month, customers must install Apple’s latest operating system, iOS 12.2. While Apple says the new update is compatible with hardware as old as the iPhone 5S, the likely aim is to entice customers to upgrade their phones for a better experience. Directly after its launch on Monday, some Apple customers reported that the iOS update caused certain applications to crash. 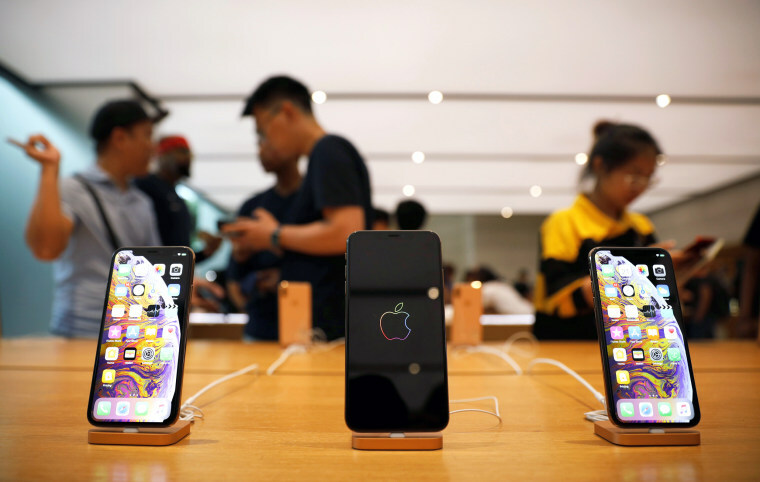 "The one thing that Apple has been facing is the rate of upgrades has been tumbling quite a bit,” said Jeff Moore of telecom analysis company Wave7 Research. Apple’s move to increase its services offering was “questionable,” and a “real test of their brand,” Moore told NBC News. Consumers now keep their phones for an average of 2.8 years, according to HYLA Mobile. The end of telecom subsidies and more expensive versions of the iPhone have led consumers to simply postpone buying a new phone. “As people start to access Apple services, it may be a good incentive for them to buy Apple hardware,” said James Willcox, senior electronics editor at Consumer Reports. Apple has previously faced criticism over updates that affected the performance of older iPhones. In October, a government regulator in Italy fined Apple and Samsung after finding that software updates had "significantly reduced" phone performance. In December 2017, Apple admitted it throttled the performance of older iPhones due to issues with aging batteries. While Apple also announced a handful of options to access its own content via other companies' devices, like Roku, tech experts ultimately believe the company's strategy is to lure consumers into upgrading their Apple products more regularly. Oprah’s proclamation as to why she’s working with Apple may be the simplest supply-and-demand explanation of all: “They’re in a billion pockets, y’all. A billion pockets."